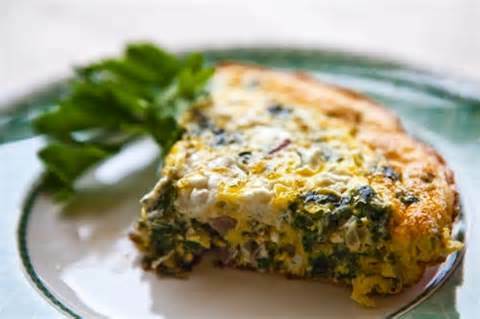 If you are an egg aficionado like yours truly, you’ll love a nice frittata. Frittatas are super easy to make and so satisfying for a hearty breakfast or brunch. But what truly makes them a winner in my book, is that they’re the perfect vehicle to use just about anything you want to get rid of in your fridge. And they’re cheap! In an average week, I trot to the farmers’ market and/or grocery store on Saturday mornings, armed with a gaggle of reusable bags and my token over-the-shoulder straw tote for good measure and proper farmers market fashion. Don’t hate me, but I love how sassy a bunch of carrot greens look sticking out from underneath my armpit. It makes me feel like I need therapy a farmers’ market siren. When my carload is finally lugged upstairs to our 2nd floor apartment and all that fresh deliciousness is crammed into our fridge like a Chinese puzzle, I’m always anticipating a ribbon from the Pope and/or an honorable mentioning in our local paper for excellence in purveyance. With Saturdays traditionally being ‘feast’ in refrigerator-land, it often means that come Fridays – when famine sets in – I inevitably end up with a sad stalk of leeks that never did make it into the potato-soup I planned, or a handful of fresh herbs that look like they came from the nether worlds. Frittatas are perfect for using up errant produce. You can use whatever vegetables and/or meats you like, but the basics are always more or less the same. Preheat oven to broil setting. In a medium bowl, whisk together the eggs, Fontina cheese, salt, pepper & nutmeg, and set aside. Over medium-low heat, warm the olive oil and cook the garlic & broccoli florets until broccoli is ‘al dente’ and just about to fall apart. Turn heat to low and add kale. Continue to cook until slightly wilted but still somewhat ‘crunchy’. Add finely chopped green onions, pour egg mixture over vegetables, and gently fold to combine. Cook eggs for 4-5 min until beginning to set on the bottom. Sprinkle Pecorino-Romano cheese over the top and transfer to hot oven until the top sets and cheese is slightly browned, approx. 3-4 min. I went with a meat-free option, but when you add the egg mixture, you could completely fold in some cooked bacon or pancetta pieces, or cooked crumbled sausage too. sounds great! Would I be able to find Fontina cheese at Trader Joes? Aimee, I’m pretty sure you would. If you can’t find Fontina, you could use another cheese that is fairly mild in flavor and melts beautifully like Provolone, Gruyere or Gouda.